Our Mentors work one-on-one with students, often supplemented by group and family sessions. Mentors come from varying backgrounds, from educators to camp counselors to writers and actors. All Mentors have formal training in Jewish education and Hebrew language and are skilled in teaching Torah and Haftarah chanting. As part of our personalized approach to learning, Hebrew Helpers will match families and students with the best guide for their experience. Todd is the Founder and Executive Director of Hebrew Helpers. After many years as a Jewish educator in both New York City and Los Angeles, Todd started Hebrew Helpers in 2005 with the mission to create authentic and meaningful Jewish learning experiences without boundaries or restrictions while at the same time, paying tribute to tradition. Raised in Elkins Park, PA, Todd studied with Cantor Charles Davidson at Congregation Adath Jeshurun. 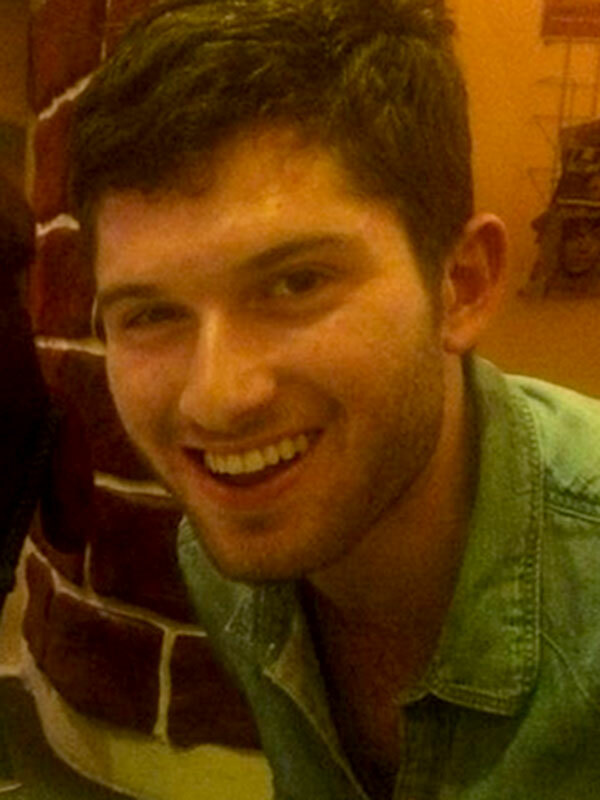 He is an alum of the University of Pennsylvania, Alexander Muss High School in Israel and Project Otzma. In his spare time, he produces independent feature films. Debbie is the East Coast Director of Hebrew Helpers as well as serving as its Director of Training & Curriculum. Debbie has been teaching kids how to read Torah since she was 15 years old, and she’s mentored hundreds of kids for their bar and bat mitzvahs in Philadelphia, New York, and Los Angeles since 2000. Her mission is not just to teach kids about Judaism and prepare them to become Bar and Bat Mitzvahs, she wants to show kids that Judaism can be fun and interesting, and relevant in their lives. Debbie also has an M.F.A. in Acting and works in film and on TV. Adi is a private tutor and Judaic Studies teacher in New York City. He graduated from NYU Gallatin, with a concentration in American History and Playwriting. Before moving to New York, Adi worked for Hebrew Helpers in Los Angeles as a trainee and assistant. He is proud to have worked with Hebrew Helpers for almost eight years. Aliya has been working in Jewish Education for the past eleven years, focusing on music and singing. A former camp counselor, Camp Assistant Director, and a long-time Songleader, Aliya loves instilling fun into Jewish education, adding “ruach” into every prayer, reading, and song. After graduating from UCLA, Aliya has been pursuing musical theatre (you’ll often find her singing at Disneyland!) while still continuing her work as a Songleader in the South Bay, and now Culver City’s Temple Akiba. Whether teaching pre-schoolers their “alef bets” or leading Bar or Bat Mitzvah services, it’s truly a joy instilling Jewish values and traditions through song. Deanna is a writer, performer, Jewish educator, ritual leader and facilitator. She has served as officiant and cantor at high holiday and shabbat services nationwide, and creates highly personalized and innovative Jewish-based lifecycle rituals for families and individuals seeking deeper meaning and interaction with tradition. She has visited numerous synagogues, universities and camps as a workshop facilitator, scholar and creative artist in residence. She plays the ukulele, was trained in opera, and loves to hike and salsa dance. Leah has been with Hebrew Helpers since its inception. Originally from Canada, Leah has lived all over the US, including San Antonio, Seattle, Salt Lake City. She lived in Israel for 3 years on various programs which helped her to become fluent in modern Hebrew. In Los Angeles, Leah has taught students of all ages in a variety of topics including modern Hebrew, Prayers, Jewish Ethics, Bible Stories, Jewish History. She has worked with many private students and synagogues include Stephen S. Wise Temple, University Synagogue, Wilshire Boulevard Temple. Temple Akiba, Adat Shalom, Beth Shir Shalom, Malibu Jewish Center and IKAR. She also worked as a Judaica Teacher at Camp Ramah Ojai and created and taught an interactive curriculum for the 10th graders about the Israeli-Palestinian conflict. Leah is a member of the IKAR Davening team, helping to lead and inspire participants through prayer. Leah’s passions include speaking Hebrew, farmers markets, and her adorable dog, Moxie. Purple, as anyone who knows Leah can attest, is her signature color! Marnina hails from Berkeley and moved to LA to study Communications and Theater at UCLA. Her Jewish education ranges from Jewish Day School, to organizing for justice with Bend the Arc, to studying historic Jewish culture on the ground in Germany, Poland, Lithuania, and Belarus. She is passionate about making Jewishness accessible, meaningful, and joyful. Marnina also works as an actor, violinist, singer, and teacher at the Jewish Learning Center. Melissa Raub hails from the bustling town of Scranton PA (yes, like The Office!). She went to the University of the Arts in Philadelphia where she received her BFA in Acting. Need a voice? When Melissa is not mentoring students, she can be seen behind the microphone doing voice overs! She received her MA in Jewish Education from the Hebrew University in Jerusalem in 2017. Melissa loves to educate young Jews in the richness of the religion, as well as cook any type of food (especially Jewish food)! Michael is thrilled to be heading up the effort in bringing Hebrew Helpers to the East Coast as the East Coast Coordinator. Michael holds a doctorate in Jewish Education from Gratz College. A longtime Jewish educator and administrator, Michael also works with KleinLife where he started a Jewish Children’s Sunday School, and Beth Zion Beth Israel, where he serves as interim educational director. Michael spent many years as a USYer and USY director, and a Camp Ramah counselor and Rosh Edah (Poconos). In addition to his Jewish education work, Michael lectures and conducts historic tours of Jewish Philadelphia, is an avid reader, and a pretty awesome challah baker. Ronit loves working one-on-one with Bar/Bat Mitzvah students and has so since her own Bat Mitzvah! A graduate of NYU School of Drama, Ronit ran the Bar/Bat Mitzvah program at the Park Avenue Synagogue for 5 years. The daughter of a cantor, Ronit has Jewish music in her genes and brings her love of singing and all things Jewish to her work with students. In addition to her work with Hebrew Helpers, Ronit is the assistant to the Cantor and oversees the Bar/Bat Mitzvah program at Adat Ari El in Valley Village. She is an actor, writer and web series producer and brings a fun, energetic spirit to her work. Sarah grew up very active in the Jewish community. She has taught Kindergarten, 3rd Grade and 6th Grade in different schools in New Jersey, Boston, and now Los Angeles. She thinks that learning should be both challenging and exciting. Sarahann currently serves as a Director of Admissions at The Jewish Theological Seminary and has been working in the world of informal Jewish Education for over 10 years working in various communities. Throughout her undergraduate and graduate studies, she taught in various religious schools and worked at the Ramah Day Camp in Philly. She moved to NYC to serve as the Assistant Director of Education at a congregation on the Upper West Side. Sarahann values making Jewish education meaningful and relevant by asking critical questions of why our traditions are significant in our lives today. When Sarahann isn’t mentoring her students, she can be found running in Central Park or checking out a new eatery in the city. 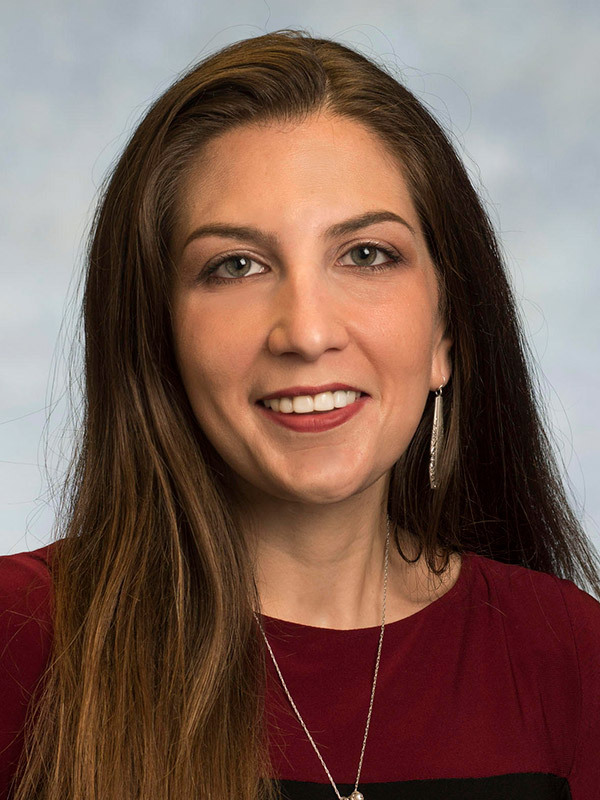 Shoshanna earned her Bachelor’s degree in Anthropology and Jewish Studies from the University of Maryland and her Master’s Degree in Jewish Studies (Jewish Women’s and Gender Studies) and is now pursuing her Ed.D in Jewish Education from the Jewish Theological Seminary in New York. Shoshanna completed several years of rabbinical school, and is a prolific Jewish educator and writer, a regular contributor to the Times of Israel and the Forward. She began her career in education and development with the American Jewish Joint Distribution Committee in Romania, Bulgaria, and Hungary, focusing on leadership training for post-Holocaust and post-Communist Jewish communities. Shoshanna has also served with a variety of Jewish agencies and institutions including Young Judaea, Camp Ramah, Hillel, Taglit-Birthright and JDC-Entwine. As an educator, Shoshanna has taught in the Departments of Religious Studies and Women’s Studies at Randolph-Macon College and the University of Texas (El Paso). After serving as executive director of ALEPH: Alliance for Jewish Renewal, Shoshanna recently became the first Director of Jewish Campus Life for Randolph-Macon College. Sigi Gradwohl is an actress and performer who has mentored kids all over the Los Angeles area for the last decade. She has taught at multiple Hebrew schools and worked closely with teenage girl groups. Originally born in Jerusalem, Sigi is a fluent Hebrew speaker and triple-citizen who grew up on both US coasts. She spent her childhood in Jewish day school and Camp Ramah in Ojai. Sigi has been lucky to combine her passions for acting and love for kids as a mentor at Hebrew Helpers — guiding her students toward an animated, thrilling, and exciting overview of all things Jewish. When she’s not mentoring, you can find Sigi performing on stage, often in Jewish shows (The Diary of Anne Frank, Bad Jews, and The Immigrant are a few recent productions). Sigi loves comedy and uses it in all elements of her work. She is grateful to have found a dual career pursuing her craft while mentoring kids and even more grateful to her parents for raising her with a love for Judaism so that she wouldn’t need to take a restaurant job. Yaki has worked with Hebrew Helpers as a mentor and officiant since 2010, bringing creativity, warmth and enthusiasm to his teaching. Originally from Seattle, Yaki has a degree in Drama from the University of Washington and was trained in Torah chanting at Tal Torah in Jerusalem and Jewish studies at the Seattle Jewish Community School. In addition to his teaching in the Jewish community, Yaki is an actor, writer, musician, and improvisor/stand-up with a monthly improv comedy show at the Upright Citizens Brigade Theater.